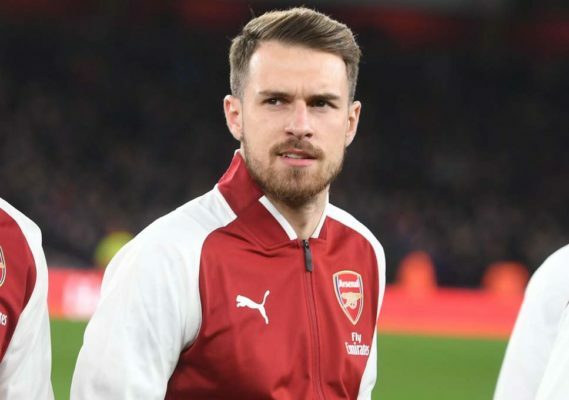 Juventus sporting director Fabio Paratici has maintained that Wales international player Aaron Ramsey will be a better player at Turin when he officially joins from English Premier League outfit Arsenal. The Italian Serie A outfit have announced the capture of the former Cardiff City player on a four-year deal and it is reported that he will be joining the club officially on July 1. It is also understood that the Wales midfielder will now earn the whopping sum of £400,000-per-week before tax at the Old Lady which makes it a gain to the pay he last signed at Arsenal. However, the Juventus chief has boasted that the star player will be a better player at the club because he would be used in his best position when he officially joins. According to him, Aaron Ramsey never played the best position at the North London outfit, stressing that he will be best used as a “mezzala” which is an Italian word for the two midfielders playing either side and in the advantage of a central pivot suitable for a 4-3-3 formation. He, however, hailed Ramsey as a technical man who is good as a “final ball person” because of his nose for goal scoring.